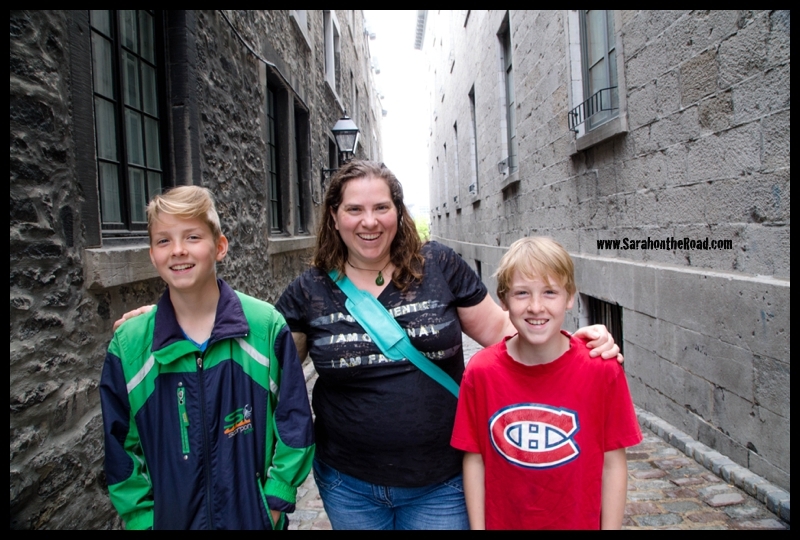 This past weekend I had a blast visiting family in Montreal. I went to visit Sarah and Craig and their boys in December of 2009…it was a stop in Montreal on my way back up to Sanikiluaq, Nunavut. However, that wasn’t the last I had visited them…I saw them a few summers ago at the cottage on Haliburton Lake. I went up to spend a night with them while they were there. Needless to say, I was pretty excited to go and spend the weekend with them… and catch up! 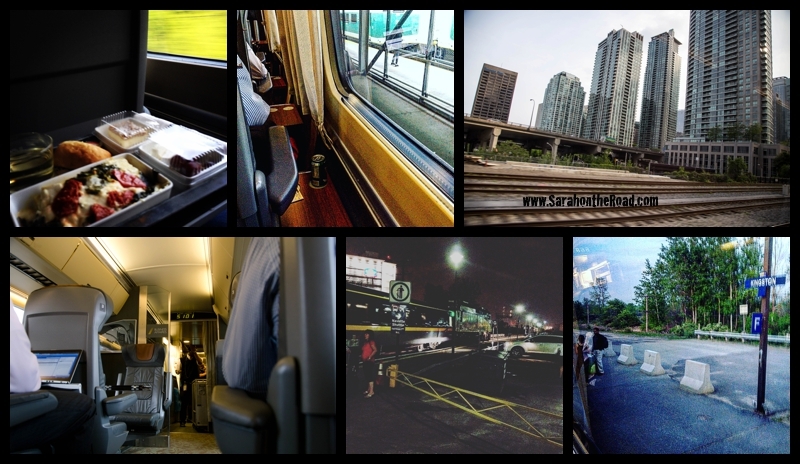 I decided to take train from Toronto to Montreal. Then when I was looking at the ticket prices…it wasn’t that much more to splurge and go ‘business class’. 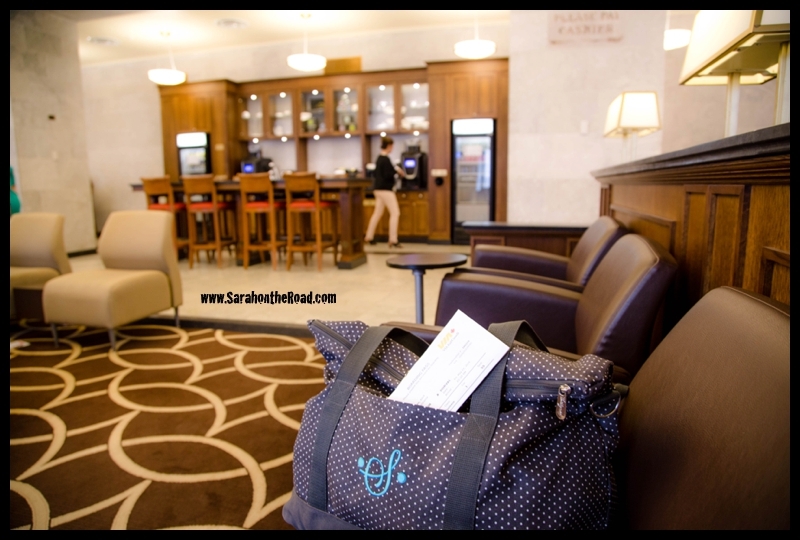 So I must say, when you travel business you have this fantastic lounge to wait in at Union Station. …it was a HOT Friday night. I’ve been slowly adjusting to the ‘summer’ temps after my years in the Arctic but honestly am struggling. Leaving Toronto it was a bit rough for the first 2 hours or so…(until just after Kingston) our train didn’t have any AC. It was a HOT sticky mess…I was so thankful that they got it working as we left Kingston! It is fun travelling in that first class car–because they feed you…and the food is actually really yummy. I arrived around 10:45pm…and Sarah came to pick me up. We hurried off to a pub where Craig was playing a gig with one of the jazz bands he is in. 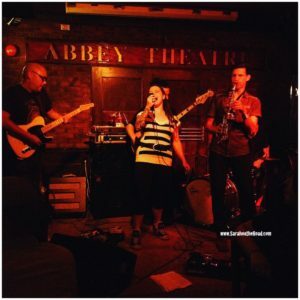 (He plays in quite a few bands–one is a corporate band that has done gigs around the world). 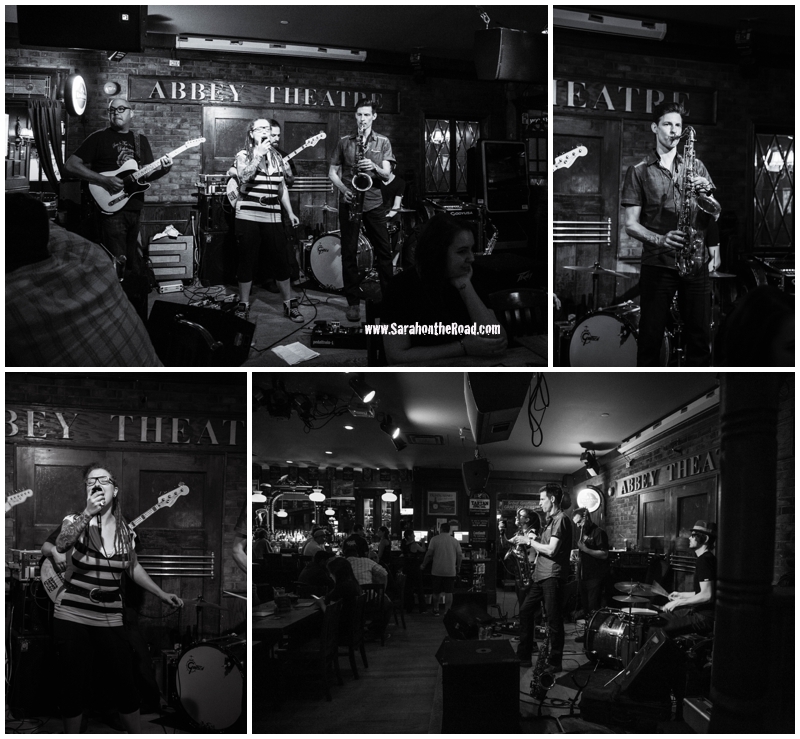 But tonight it was a gig at a fantastic Irish Pub. I was so excited to finally see him play live! Years ago when I was a kid, I remember listening to him practice at the cottage… sometimes my little brother and I would sit outside the window and look into his cottage to watch him play. It was a totally different and amazing experience sitting in an Irish pub listening to him play enjoying an ‘adult’ beverage! This was one of the best parts of my trip to Montreal to FINALLY get him to see him play. Craig you are so talented…thanks for sharing your gift of music with me! 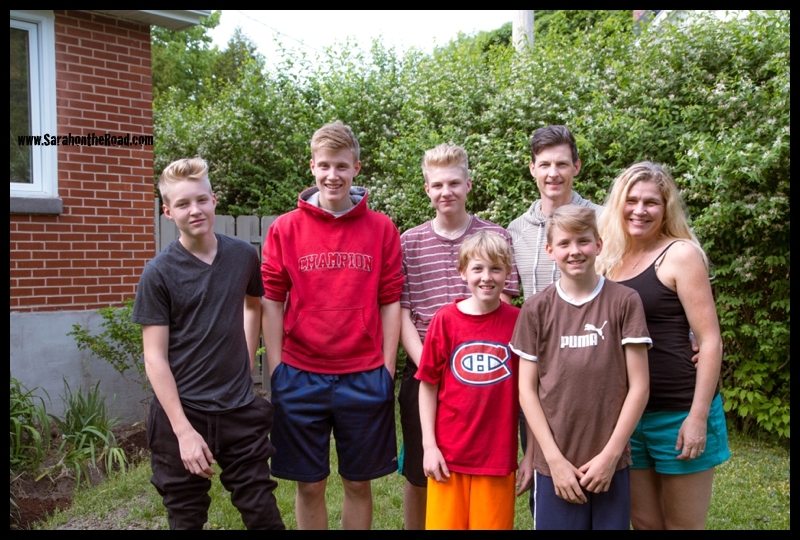 When you have a household of 5 boys…there’s always something interesting going on in… (I didn’t have any set plans for the weekend other than to hang out and catch up with everyone…sometimes the best visits and adventures happen without any plans!–and this trip I totally wasn’t disappointed). 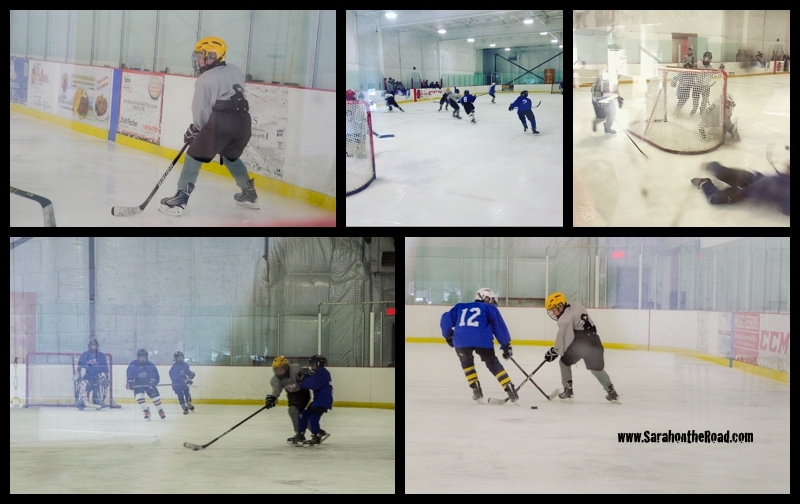 On Saturday, I ended up going to see Alec play hockey…it was fun to see him play! It was totally easy to spot him with his yellow helmet! When I visited before he was too young to play but saw his older brothers play instead. Overall the theme of the weekend was studying… Noah, Caleb and Liam…all were studying for their finals. 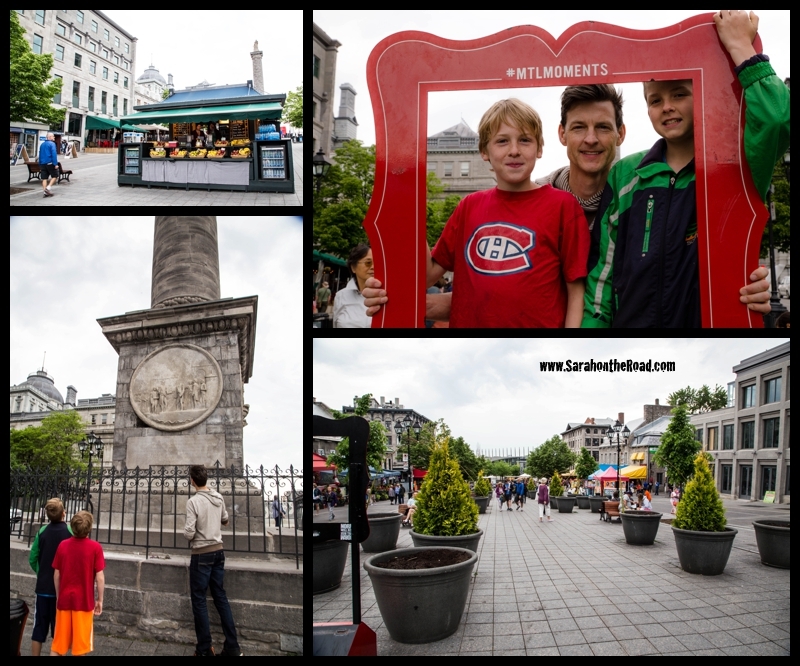 So while Sarah stayed home to help make sure studying time was ‘focused’…Craig, Ethan and Alec & I went into Old Montreal to explore and see what we could find. 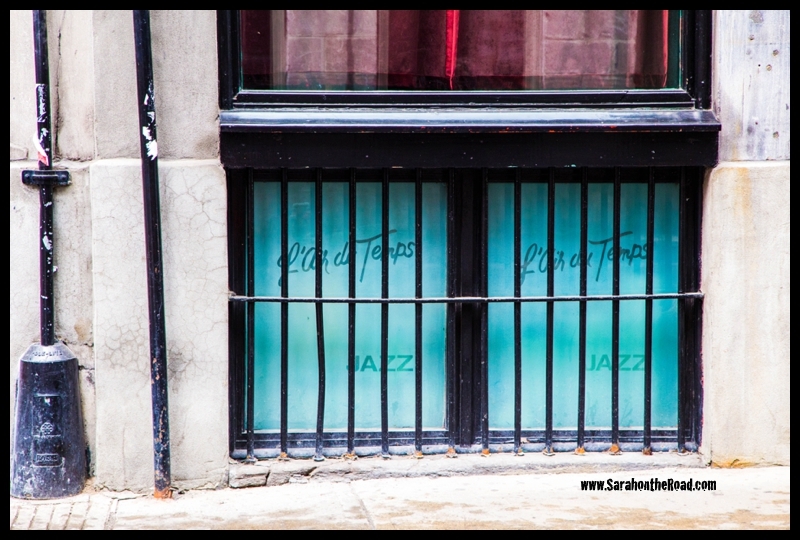 As we were walking by Craig pointed out this spot where he FIRST played Jazz when he started doing gigs…it has long since closed…but the windows in the lower unit still had the signs! …having fun exploring and enjoying some ice cream. (It was the BEST ice cream…I can’t remember the name but it had maple sugar bits and carmel in it…OMG—I thought I’d died and gone to heaven! Had to stop to take a selfie of all of us… honestly this one hour walk was a highlight of my trip. It was awesome to spend some time walking and talking with you Craig! 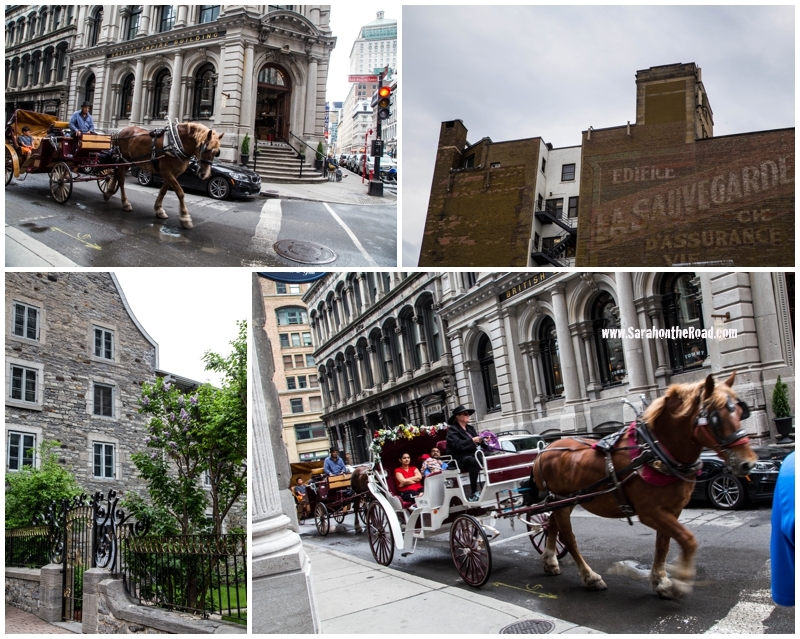 …they still have horse drawn carriage rides in Old Montreal. My first visit to Old Montreal with my friends Erin and Amanda we decided to take a ride in one. 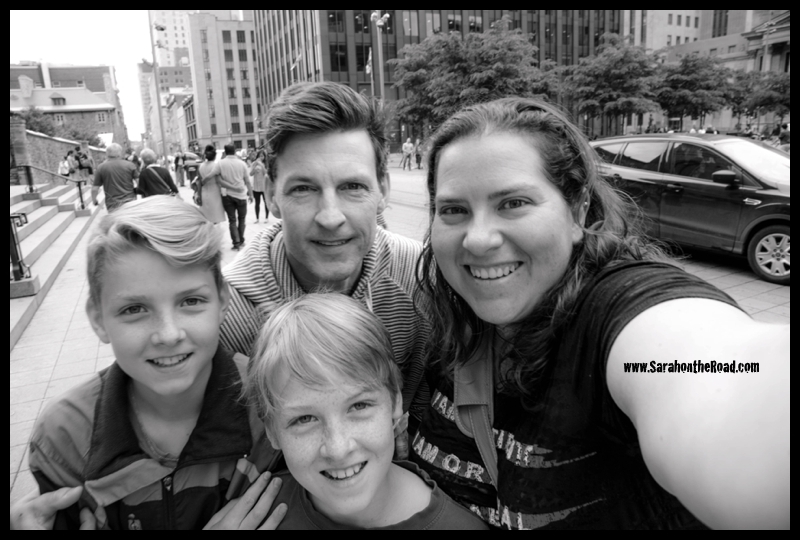 Sarah and Craig…it was so awesome to visit your family. Our conversations over the weekend have left me thinking about so many different things…and one thing I know I’m blessed to have such a large family that you are part of. I also have come to realize that nobody will understand the craziness of your family better than your cousins!! I promise my next visit will be sooner than the last 6 1/2 year gap of this visit…especially now that I’m living back in Southern Canada! Enjoy your summer…and keep on smiling. 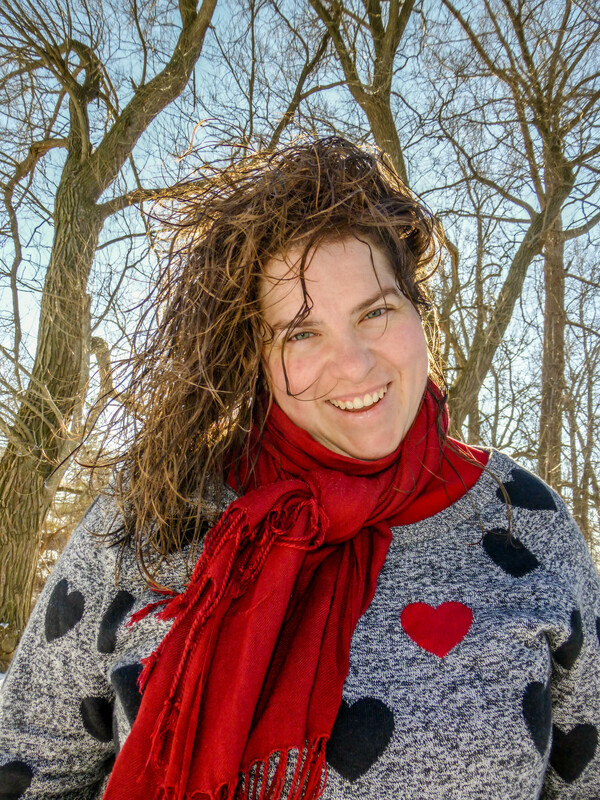 This entry was posted in Family, On the Road, Travel in Canada, Whirl-Wind Weekends on May 30, 2016 by Sarah on the Road.